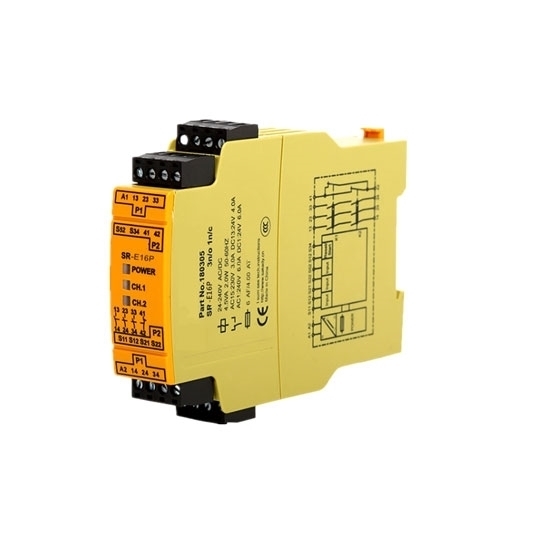 High security relay is mainly used for AC 50-60Hz, supply voltage 24VAC/DC, safety contacts 3NO, auxiliary contact 1NC, AC power consumption 2.2VA, DC power consumption 2W. Extremely light, good value for money, direct sales from the manufacturer and free shipping. Low cost DC 24V safety relay, AC power consumption 5.5VA, DC power consumption 2.5W, AC supply voltage 24V, 42V, 115V, 120V, 230V, or 240V, frequency 50-60Hz. ATO provides high-performance safety relay, safely control the environment around any time to monitor. 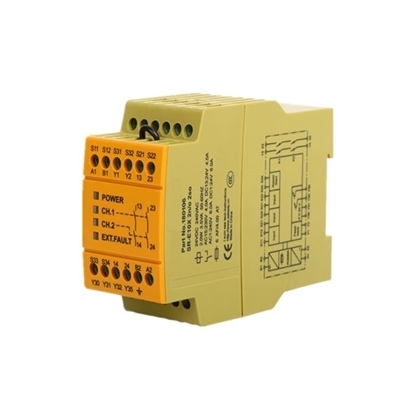 3NO/1NC safety relay has the characteristics of small size, high reliability and low loss. Supply voltage AC or DC is 24V, the frequency is between 50 and 60Hz. Tips: How to use safety relay? When the safety circuit fails, the machine cannot start the safe input such as safety switch and light screen.